Finding cancer in a man’s prostate is NORMAL! Who is at risk for prostate cancer? Does having a vasectomy cause prostate cancer? Are all cases of prostate cancer equal in risk? Are you taking Propecia (finasteride) for hair loss? Is extract of pomegranate an elixir of life? Note: If what you are looking for is information on screening for and early detection of prostate cancer, please click here. There is no 100 percent safe and proven way that men can use to prevent prostate cancer in general, and many things (including age, genetics, race, and environment) may affect your risk for this disease. In fact, it is completely normal for most men to have a small focus of prostate cancer by the time they get into their 70s or 80s today, and it may never need treatment! However, we do have data about six things men can do to reduce their risk for diagnosis with lethal forms of prostate cancer (see the UCSF “healthy lifestyle” score). And it seems likely that the younger you are when you start to meet the six criteria, the better! We also have data, from two major, completed, randomized, double-blind clinical trials carried out to investigate the potential of two different drugs to prevent prostate cancer. 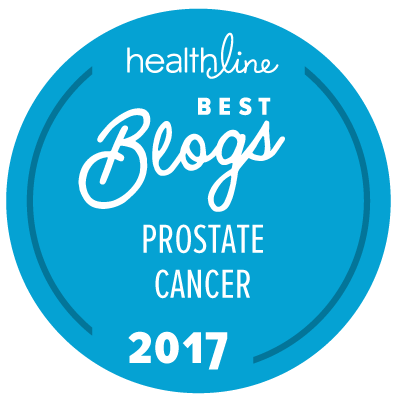 The Prostate Cancer Prevention Trial (PCPT) showed that finasteride, a type of drug known as a 5α-reductase inhibitor or 5-ARI, reduced the risk of prostate cancer in men by about a quarter. The REDUCE trial showed that dutasteride, another, newer type of 5-ARI, also reduced the risk for prostate cancer by about the same amount (in a higher risk group of men). And in February 2009 a guideline was issued recommending that men discuss the potential use of 5-ARIs to prevent prostate cancer with their doctors. However, taking drugs like finasteride or dutasteride does have other risks (to erectile/sexual function) and there is continuing controversy about whether using these drugs can increase (very slightly) a man’s risk of diagnosis with aggressive forms of prostate cancer. There is almost no good evidence that taking supplements or micro-nutrients can prevent all prostate cancer. Lycopene and tomatoes haven’t been proven to work either. In 2008 the SELECT trial, designed to investigate the potential of selenium and vitamin E, was stopped because there was no sign of any significant benefits, and certain risks seemed to outweigh any even minimal benefits. In addition, in early 2009, the Physicians Health Study II demonstrated that neither vitamin E nor vitamin C had any impact on prevention of prostate cancer. What we do also have today is some preliminary evidence that baseline PSA levels taken in early middle age may offer an indicator of long-term risk for the development of prostate cancer. In addition, the PCPT prostate cancer risk calculator and the Sunnybrook risk calulator both offer ways for a man and his primary care physician to assess his risk for prostate cancer and therefore the need for a prostate biopsy based on things like his PSA and DRE results. If you take Proscar (finasteride) or Avodart (dutasteride) for benign prostatic hyperplasia (BPH), you should make sure your doctor knows this because they may affect your PSA levels. Perhaps more importantly, so may Propecia, a drug many men take to deal with hair loss (“male pattern baldness”). Make sure you tell you doctor if you use Propecia too. This section of The “New” Prostate Cancer InfoLink will seek to keep you up to date with any useful information about ways to prevent prostate cancer or at least lower men’s risk for this disease. For starters, have a look at Prevention: an introduction. We have also posted details about the guideline on use of 5-ARIs in the prevention of prostate cancer, as well as summaries of the key findings of the PCPT trial, the REDUCE trial, the SELECT trial, and the toremifene/PIN prevention trial.